With great power...comes great backpain. Captain Strong shows his age and the battle comes to an end. 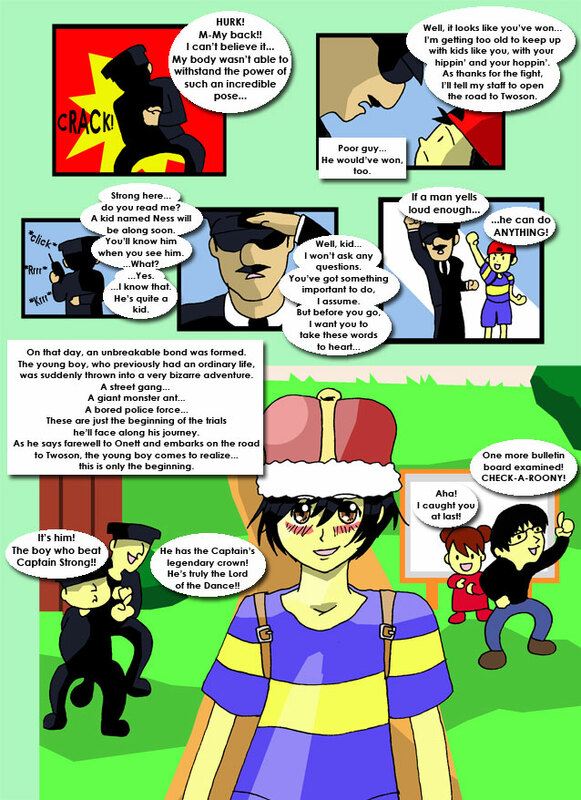 Ness, content with his victory, proceeds onto Twoson and the chapter of Onett comes to a close. Also, a cameo by yours truly as the mysterious Check-a-roony guy.